I saw Stomp originally when it began playing Off Broadway at New York's Orpheum Theatre. It's been playing in New York since 1994 but did you know that Stomp began its run at Edinburgh's Fringe Festival in 1991? Imagine that, Stomp will be celebrating 25 years this year. Wow! That's a long run for an Off Broadway or Off West End in London show for sure. The show officially opened in London on September 27, 2002 and now resides at the Ambassadors Theatre there. 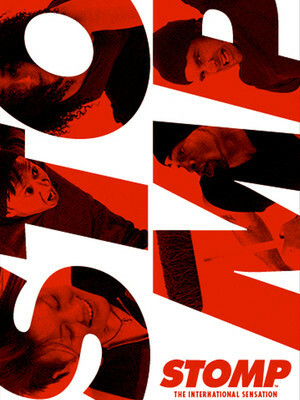 Stomp was created by Steve McNicholas and Luke Cresswell. Stomp has a cast of 8 performers that use everyday objects like Zippo lighters, garbage cans, shopping carts, brooms and even the kitchen sink, along with an incredible blend of comedy, dance and rhythm to create one of the most unique theatrical experiences one will ever witness in the theatre. There is no spoken dialogue in this 1 hour and 40 minute show. Did you know that Stomp has played all over the world? Right now the show is playing in London and New York City and the International tour is playing worldwide as well. Did you also know that Stomp has performed at the London Olympics closing ceremony in 2012? Stomp in London plays 8 performances weekly and is on sale through January 8, 2017. If you want to experience an incredibly exciting and unique London theatrical experience we hope you'll consider a call to Applause-Tickets.com., the local Broadway Show and London Show ticket experts. Cheers to London's Stomp as it is about to celebrate its 25 Anniversary in the days ahead.